I think I need to apologize to my dogs. I kept them waiting for their box for two weeks. They knew it was sitting on the table, but you know, corgis have short stumpy legs and it was next to impossible for them to get to it. Thank goodness I don't have genius dogs who can move chairs and boxes to climb onto kitchen counters and cabinets. Anyway. The reason I was holding it hostage was because two of the items were missing upon arrival so I contacted Pooch Perks and waited until they shipped them over before snapping photos and letting the dogs go nuts with everything. Note: If you signed up before February 2017, you're grandfathered into the previous subscription options. For reference, this review is for the older plan's Popular Pooch box (4 items) for a medium-large dog (35+ lbs). This month's theme is Ice Cream Party! It's summer, it's hot, and hot days call for some ice cream. Well, in my house ice cream is a daily occurrence regardless of season but who's keeping track? Unfortunately, the dogs don't get to participate in the ice cream festivities. Until now, that is. 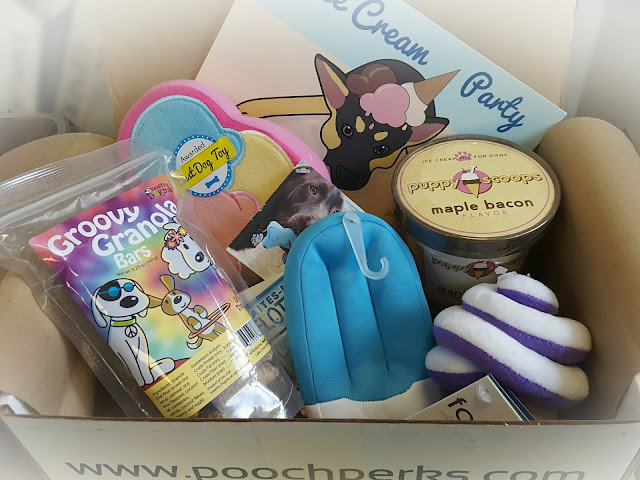 Pooch Perks sent an entire box of ice creamy treats for the furballs - including actual ice cream. Furreals. Puppy Cake Puppy Scoops Ice Cream Mix in Maple Bacon ($7) - There's no better way to kick off an ice cream box than with...wait for it...ICE CREAM!! If Puppy Cake sounds familiar that's because they made their debut selling cake mix on Shark Tank season 3. Unfortunately, no offers were made, but that just goes to show that you don't need to win a competition to be successful. Since then the company has expanded to include ice cream and cookie mixes. And this ice cream is super simple to make - just add hot water to the powder mix, freeze and voila! you've got a pint for your BFF. Now all you have to do is head to the store to pick up a pint of Ben & Jerry's for yourself, cuddle up with Fido and settle in for a night of Homeward Bound happy tears. 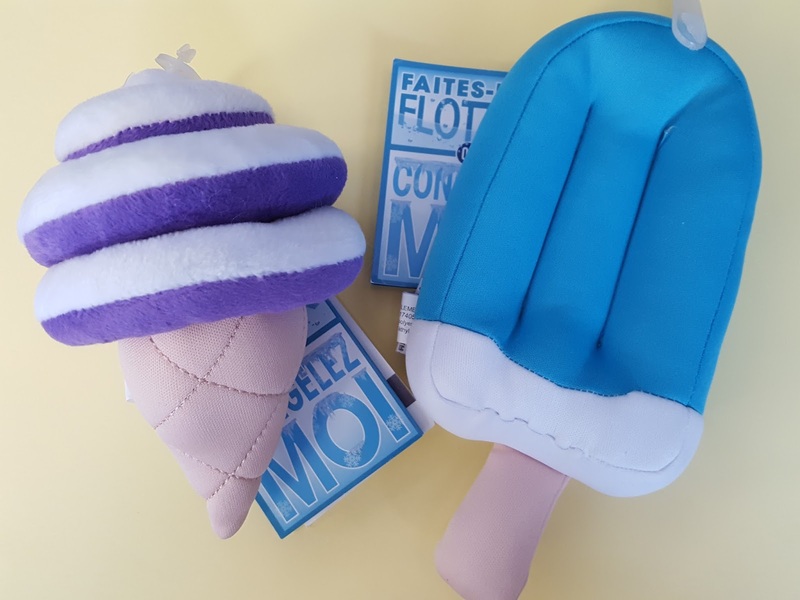 FouFit Freeze 'N' Float Ice Cream Cone and Pupsicle Toys ($8 each) - We've been getting these freeze & floats in the past three boxes and while they're incredibly adorable, they won't hold up to my dogs for a single day. The stitching is not reinforced so the seams will rip in no time. 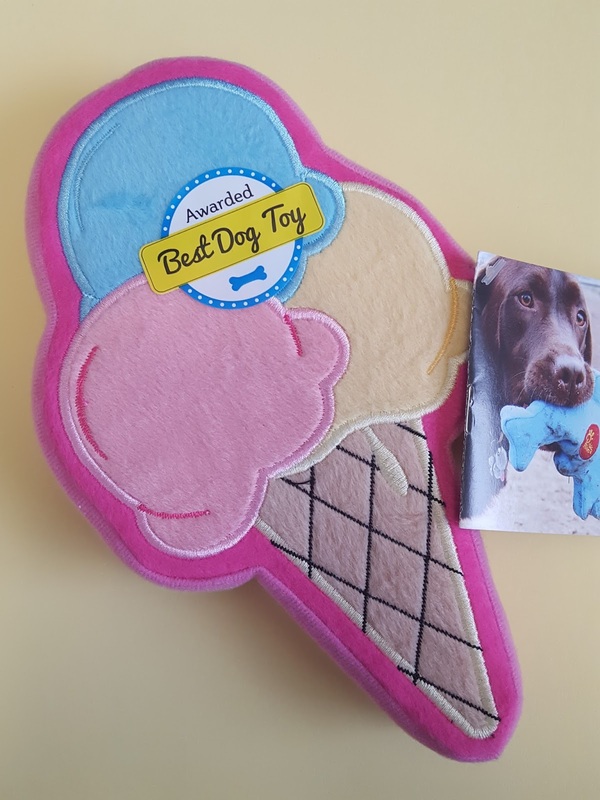 But if you have a gentle dog, he'll get hours of fun out of this toy. Just dunk it in water, freeze, and give it to him on a hot day. 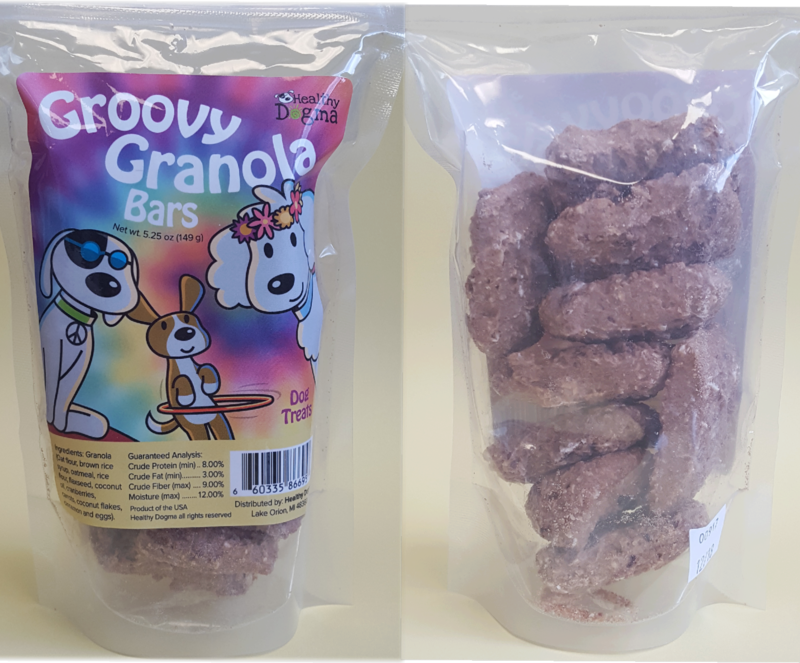 Healthy Dogma Groovy Granola Bars ($6) - Holy moly these smell delicious - exactly like an apple and cinnamon granola bar. I'm not gonna lie, I'm pretty jealous of my dogs right now. 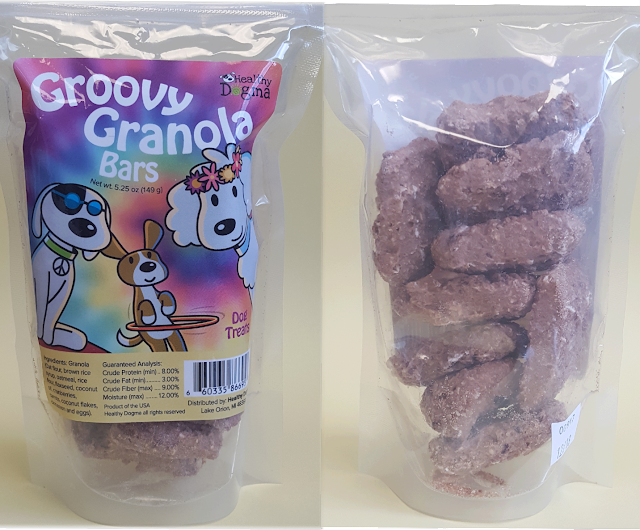 These all-natural bars have no additives or fillers; it only has stuff you can find in your own pantry. We just ran out of last month's salmon biscuits so this came at the perfect time! Lucky dogs. Verdict: I don't think we've ever gotten three toys in a Pooch Perks box before so playful pups, rejoice! Unfortunately, my dogs will rip apart the freeze n floats once it thaws. :( But the ice cream and granola bars? Yes, please. 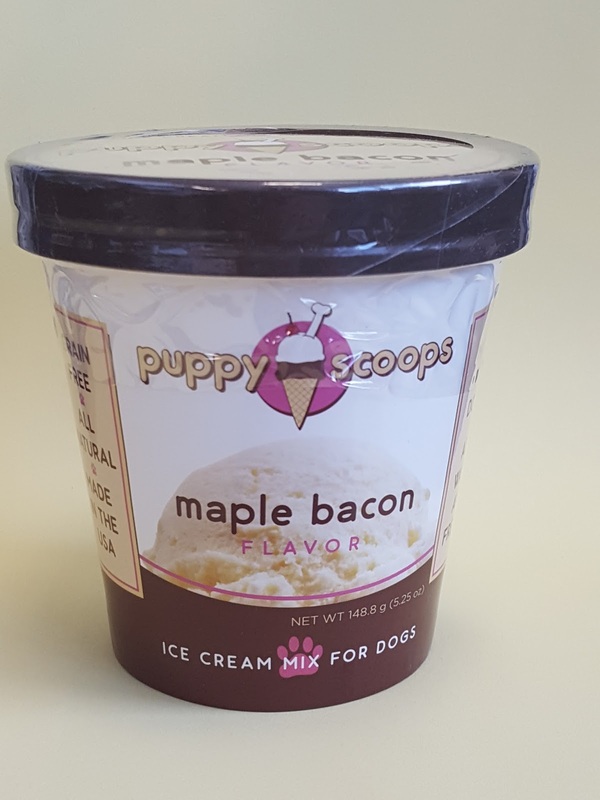 :) And if I find they absolutely love the ice cream, it looks like Puppy Cake does a $5 Fridays sale on cake and ice cream mixes. Suh-weet! Click here to sign up for Pooch Perks. Don't forget to use the code FRIEND10 to get 10% off your subscription!